Nearly four out of 10 adults will make one or more resolutions for a New Year, according to a study done by the University of Scranton. After 60 months, only about 46 percent of people are still on track with their goal1. There is a large gap between intentions to change behavior and actual behaviors to change. Recent research suggests that attempts to change people’s intentions alone may not always result in successful maintenance of behavior over time2. Many people express a strong desire and intent to become more effective and to try new behaviors, but often they never really initiate or sustain lasting change ((Mashihi, S. & Nowack, K. (2013). Clueless: Coaching People Who Just Don’t Get It (2nd Edition). Envisia Learning, Inc.)). Some recent evidence suggests that perceived importance and concern for the desired behavioral change endpoint might be the best predictor differentiating non-intenders from those who are successful adopters of new behavior, whereas self-efficacy, perceived control, and being clear about the disadvantages— the “cons”—of behavioral change are more important in discriminating successful maintainers from unsuccessful maintainers3. We all know about “SMART” goals (the acronym has a variety of similar labels such as specific, measurable, attainable, relevant, and time bound). In a 2012 study, Leadership IQ, a leadership training and research company, studied 4,182 workers from 397 organizations to see what kind of goal-setting processes actually help employees achieve great things. They discovered that people’s goals are not particularly helpful. In fact, their survey found that only 15% of employees strongly agree that their goals helped the employees achieve great things. In their study only 13% of employees strongly agreed that their goals this year will help them maximize their full potential. Several questions related to goals being measurable, realistic, etc. had no unique predictive power in what employees actually achieved. To achieve success, people need to learn and practice new skills under specific situations over a long period of time until they switch from being consciously competent to unconscientiously competent4. If SMART goals aren’t the answer, then what is? What you need to use is what psychologists call “implementation intentions.” We call this type of goal setting approach Practice Plans and they help convert goal intentions into deliberate practice under specific situations to form new habits. But, what is it and does it really work? Nearly 200 published studies focusing on leadership, health, and interpersonal relations have shown that deciding in advance under what conditions you will plan to implement a new behavior can significantly increase your chances of actually doing it. A recent meta-analysis involving over 8,000 participants in 94 independent studies revealed a medium-to-large effect size (d= 0.65) of implementation intentions on goal achievement in a variety of domains (e.g. Interpersonal, environmental, health) on top of the effects of mere goal intentions5. Indeed, Practice Plans, as an approach to goal setting, appears to be very powerful and useful way to help you achieve any goal. A Practice Plan is simply a plan in which you link a situation or context with a response that will bring you closer to fulfilling your goal. To do this, all you have to do is reframe your goals as “if-then” or “when-then” statements. The “if” or “when” part is the situational cue; the “then” part is your planned response or behavior to that cue. Practice Plans help facilitate ongoing practice of new behaviors until they become somewhat automatic (at least with 30-90 days of regular practice based on new neurobiological research showing actual changes in neural density). 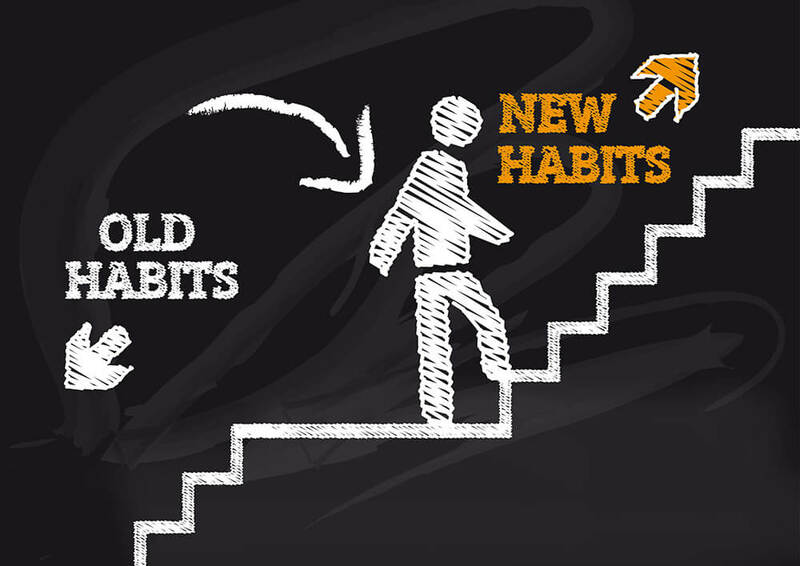 Practice Plans help to facilitate the successful development of new habits. Some habit triggers will be situation based (e.g., “When I feel anxious, I will practice mindfulness meditation to calm me down” or “When I notice the other person speaking, then I will seek to understand what they are saying before I share my own ideas”) and others are time based (e.g., “When it is Monday, Wednesday and Friday morning at 7am for the next month then I will attend my 50 minute yoga class” or “At each weekly staff meeting I will solicit the ideas of my staff and summarize them before sharing my own thoughts and suggestions”). Both types might be relevant to use depending on the specific goal being targeted. Practice Plans work because research suggests that new habits are formed by actually practicing specific behaviors under situations and conditions that require a new response or repeated in a specific time period (e.g., daily, weekly, etc.). Development of new skills is best supported by on-the-job experiences and feedback/coaching from others (Note: The 70-20-10 learning model was first proposed in the 1980s by Center for Creative Leadership (CCL) authors and researchers Morgan McCall, Robert Eichinger and Michael Lombardo but there is little published research to actually support this popular ratio. The model states that learning occurs primarily from on-the-job experiences–70%, followed by learning from others–20% and, finally, from more passive courses /workshops–10%). If you want to learn more about how our goal setting and evaluation system called Momentor can help you with your coaching and training interventions to leverage successful behavior for a demo…..Be well…. 4. LeadershipIQ Study: Are SMART Goals Dumb? 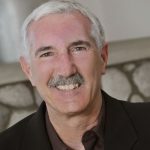 Dr. Kenneth M. Nowack is a licensed psychologist (PSY 13758) and President of Envisia Learning, www.envisialearning.com, an international consulting company providing neuromanagement based organizational and leadership solutions.